Influenza is around the corner! East Suburban Pediatrics strongly recommends annual flu vaccine for everyone 6 months and older. Flu vaccine is the best way to protect your family from the flu. Vaccination reduces serious influenza illnesses, doctors’ visits, and missed school or work, as well as prevents flu-related hospitalizations. 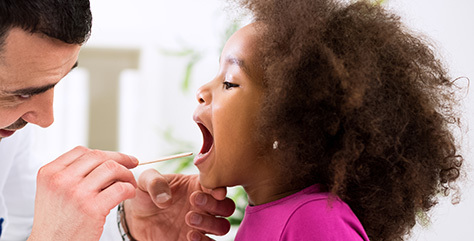 East Suburban Pediatrics follows the CDC recommendations for influenza vaccination. We will be giving injectable flu shots this season. Nasal FluMist is available in limited quantities, but is not the preferred method for immunization this flu season as data has shown it to be less effective than injectable. Flu Clinics are Walk-in only. No appointment is needed. Flu Clinics are for current East Suburban Pediatrics patients only. Please bring your child’s insurance card and your driver’s license to the Flu Clinic.